Taking to his Instagram last night, the superhero actor launched a last minute Oscars bid for his box office hit, despite the fact that the movie was only released two weeks ago, making it ineligible for consideration. Writing ‘Only a few hours left for Oscar voting. Too late for a write-in campaign for an ineligible movie?’ the actor then posted a ‘For Your Consideration’ poster, with Deadpool posing as the golden Oscar himself. 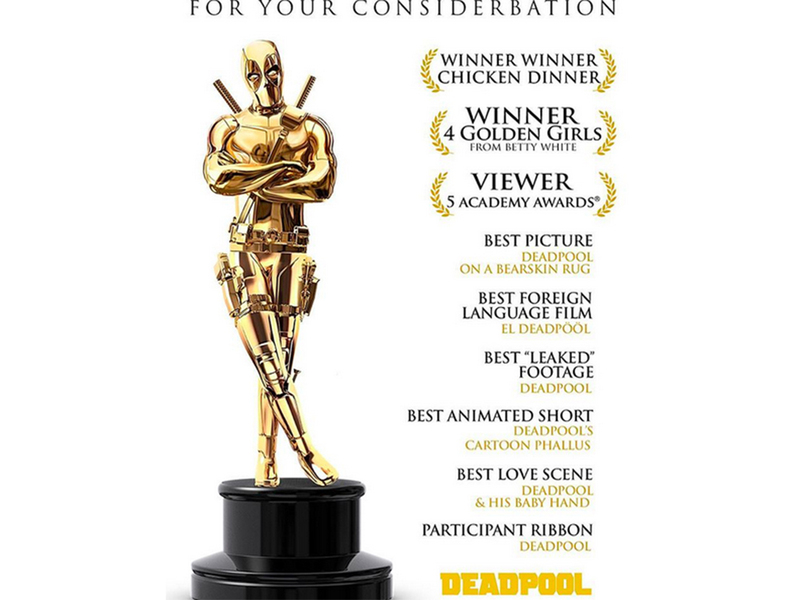 The poster even has a few nominations suggested, such as ‘Best Picture’ and ‘Best Animated Short’, while also hoping to be named in some other made-up categories like ‘Best Love Scene’ and ‘Best Leaked Footage’, referencing the ‘leaked’ footage of Deadpool that led to the film being made. The best part though? Ryan also includes a few awards he thinks Deadpool‘s already won like ‘Viewer Of 5 Academy Awards’ and our personal favourite, ‘4 Golden Girls from Betty White’. Suffice it to say, hilarious. The Insta is just another in a long line of hilarious marketing moves by Fox, with the film previously parodying the normal marketing conventions for Valentine’s Day movies – it was released February 12 – with an ad making the R-rated film look like a romantic comedy (which it is most definitely not). While Ryan probably shouldn’t hold out on any last-minute changes to the Oscar nominations, the actor should be pleased with its performance at the box office. Despite only being released a few weeks ago, the film has already surpassed expectations earning $497.6 million worldwide. 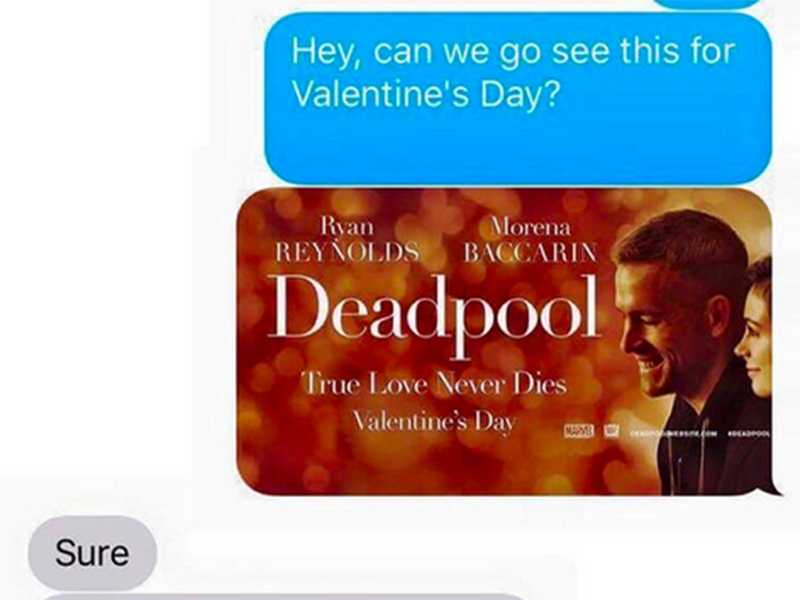 And of course, if he doesn’t get the Oscar this year, there’s always Deadpool 2. Just make sure to get those nominations in a little earlier next time, eh Ryan?